To call moving into an apartment a stressful process would be a tremendous understatement, but you shouldn’t attempt to take on such a daunting task alone, let Smart Move Moving & Storage assist you. Our professional staff of trained apartment movers in Clearwater has been assisting customers in their transition for over 25 years. From glass objects to fine china sets to electronic equipment, there is nothing our highly skilled movers can’t handle. With Smart Move Moving & Storage, your transition will go as quickly as possible and leave you stress-free. All of our apartment movers are licensed, bonded, and insured so you know everything you need moved will be taken care of by professionals. Whether you’re moving to the sandy beaches or into the heart of downtown, our apartment movers in Clearwater will handle your items with care and make sure they arrive unharmed. You can contact our Clearwater office directly at 727-443-2464. Corey and Rob were amazing! They moved us from our two storage units in Apollo Beach to our new condo in South Pasadena UNDER budget. They were quick, professional and extremely polite. We highly recommend Smart Move! 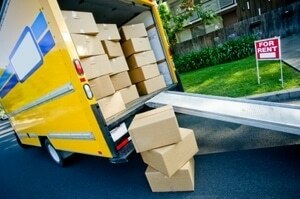 Do not look any further for a more efficient, stress free and quick move! Thank you for being so good to all of my clients during their big transition into their new home! Even in a pinch, you’ve been able to find a way to store their items until closing or help them decluttered prior to placing their home on the market. Giselle is a sweetheart to deal with! I have used Smart Move Moving 3 times now and they are great! Very professional, quick, and reasonably priced. All furniture is wrapped, wardrobe boxes are provided, and everything is insured. Excellent customer service! Everything was moved twice, including in and out of their storage. Not one item broken or damaged. Movers were professional and efficient. I would not hesitate to utilize this company for moving and/or storage. Wonderful experience during the hectic time of moving. Made everything possible and on time! Definitely would use Smart Movers over and over and recommend to family and friends. On time, courteous, fast, reliable and took care of all my china without breaking a single item!! Thousands of pieces… Thank you Smart Move! Smart Move and their mover team (Anthony and Corey) did a great job getting our stuff moved on time without any damages. They also came in right on the estimate even with a few changes made on the fly. We would definitely use them again and recommend them to anyone. About UsSmart Move Moving and Storage, Inc., is a full-service moving company that’s been providing the Tampa Bay area residents and businesses with premium moving and storage services for more than 25 years. Our family-owned and operating moving company understands that moving your home or business can be a stressful ordeal, and we lighten the load by taking many of the most difficult tasks off your hands.